We have had a very busy start to 2012 at Union Room. We have some great new clients on board and we have been working on some interesting projects for existing clients. We also have a new member of the team, Chris McGreevy, who has joined as a senior developer. Take a look at what we have been up to below. We have been working alongside Parkdean for over four years now, and their holiday homes website was one of the first projects we originally looked at way back in 2008. The website was due a redesign and a fresh approach was needed to ensure data capture was at the heart of the site. The new website contains a bespoke content management system which allows the holiday home’s team to update all of the content on the website, from text and imagery through to new vans for sale. We have worked on a range of projects for VLS over the last 12 months, ranging from blogs to a comprehensive customer area. The latest project is one we are very excited about, and it is set to save money for everyone involved with the company. A new fuel card module will allow administrators to view real-time fuel usage data, giving them access to statistics on unit cost, purchase quantity and which vehicles gave the best miles to the gallon. We will be working closely with Tranman to ensure the data we use is as accurate and up to date as possible. PitchSpring’s aim is to provide investors and start ups with a space that they can easily, safely and confidently exchange business ideas and investment details. The new website contains a bespoke admin panel which allows users to upload videos and imagery related to their pitch. We hope to be going live in late March. We are in the early stages of planning for a brand new website for Newcastle-based AUX Recruitment. The project will consist of several micro-sites, all of which contain information on a particular sector that AUX cover. This project is the first of many that we will be working on with AUX in 2012. 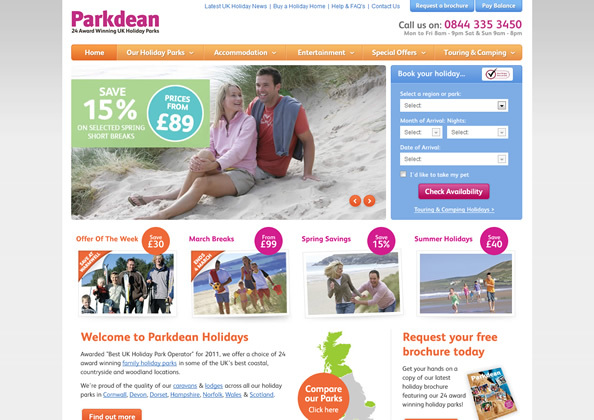 We are constantly working with Parkdean’s marketing and development team, to improve their sales website. This can range from improvements to usability, through to full redesigns of key sections such as park pages and booking systems. We are currently working on improving the number of conversions from specific promotional banners around the website, with Parkdean running A/B testing to ensure the best possible options go live to all users. We have been working with the leading training consultancy HSF Training, to develop a brand new website and bespoke CMS for the business. The new site has a range of features including online resources such as training videos and support documentation, online payments and special offers, and is due to go live later this month. The Parkdean brand has very recently undergone a refresh, publishing a new set of brand guidelines in which all digital and offline work must adhere to. We applied these new guidelines to the company’s corporate website, keeping it consistent with the latest versions of the sales and holiday homes websites. Since launching their new website in September, Sanderson Young have seen a massive increase in traffic and enquiries. As well as ongoing updates to the website, work has begun on a mobile version of the site which will look to keep the business at the forefront of the regional property sector. We have been helping PXA Express set up a number of email campaigns, taking advantage of their considerable client database. After helping Durham-based Rise Lettings launch a new website in 2011, we have helping the company add a news section to sit alongside their property listings. This is the first of a number of projects we are hoping to work on with Rise in 2012. 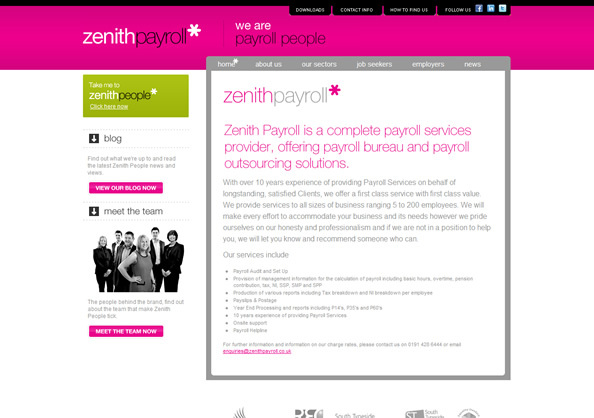 Zenith People has recently released a new payroll service, which we have been helping them promote via their existing website. We will also be helping Zenith look at their search engine presence in the coming months. 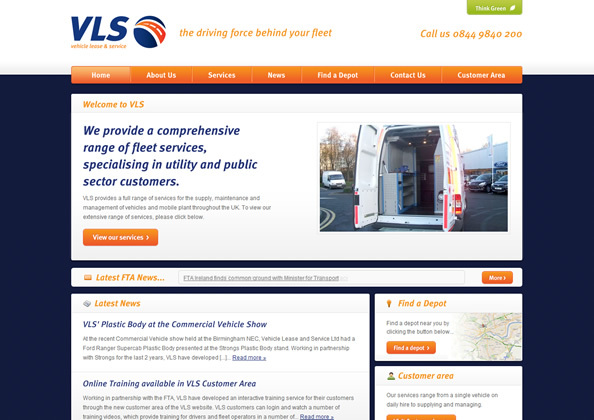 We worked with OSE last year to update their website in line with a restructure of the services they provide. We will be building on this work, helping with some email marketing and PPC campaigns. We’re working with this new supplier and installer of renewable energy technologies on a new website to promote the business, the site is due to go live in March/April. We have been appointed alongside Projector on a brand communications/website development project, more details on this in future blog posts.